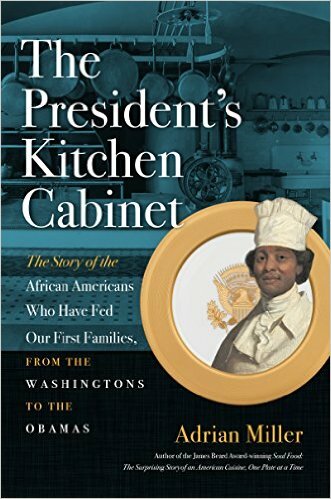 Reprinted with permission from The President’s Kitchen Cabinet (The University of North Carolina Press, 2017). Recipe by Walter Scheib, former executive chef, The White House. Blanch and cool peas; reserve 2 to 3 tablespoons for garnish. In soup pot over medium heat, heat butter and cook leeks and onions until tender, 3 to 4 minutes. Add stock and simmer for 4 minutes. Add peas and mint, and cook for 2 to 3 minutes, or until peas are tender. In blender or with an immersion blender, purée soup until very smooth; strain soup into a bowl through a fine-mesh sieve and discard solids. If soup is to be served hot, return soup to soup pot and add cream and lemon juice, and reheat gently. If soup is to be served chilled, cool it quickly by placing bowl in an ice bath and then add cream and lemon juice. Garnish with reserved peas and mint sprigs.